A novelty for Tucson 2009. 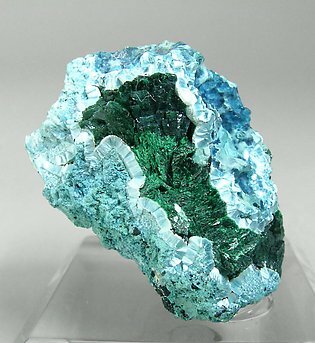 The Malachite has replaced very well defined crystals of Azurite, some of them doubly terminated. 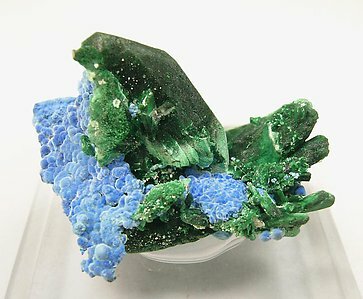 On the piece the dark green color of the Malachite contrasts with the botryoidal concretions of Plancheite. This association is very rare at Milpillas and only a few specimens arrived to the market. Botryoidal growths with surfaces that have a felted aspect. 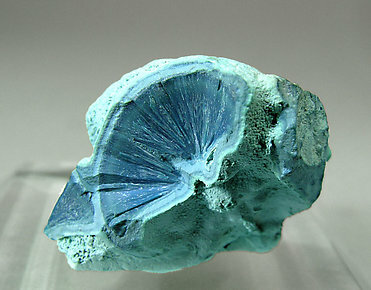 They are on matrix and have very fine hair-like crystals with an intense sky-blue color. The sample has an excellent quality for the species. A representative specimen for classic Plancheite specimens, a little bit different than the actual samples we usually see in the market. 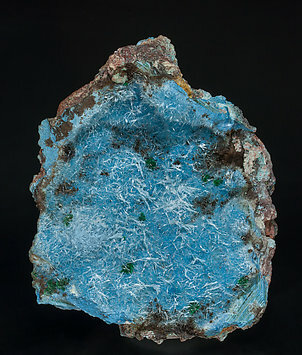 This specimen is in spherical forms constituted by radiated acicular growths with a deep blue color, partially covered by a Chrysocolla layer. A really nice miniature from past times. 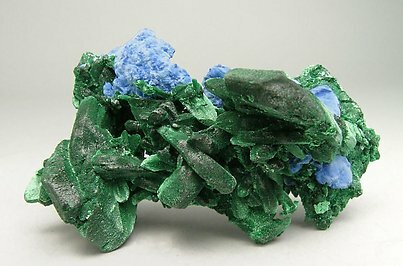 Classic sample in which the laminar growths of silky luster and greenish blue color surround a group of Malachite. 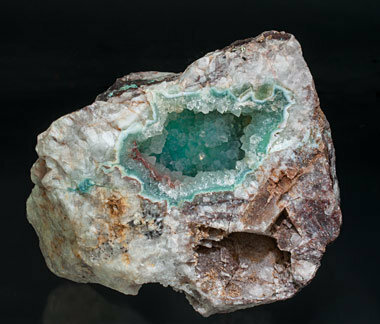 A vug on a rocky matrix filled by small very bright and transparent Quartz crystals with a slight green color due to microscopic Planchéite inclusions. The Planchéite has been analyzed and we will send a copy of the analysis to the buyer. Very unusual, as are many of the samples from this collection.